The 2017 legislative session is underway and a great deal of progress has been made, with a lot of work left to do. This short update will give you some of the highlights regarding the biggest issues before the Legislature this year. I would also like to take this opportunity to let you know that in uncertain times like these, I am continuing to defend the values we hold as Washingtonians. We are a state that embraces diversity and rejects the politics of bigotry and resentment. Unfortunately, we have heard some disturbing rhetoric coming from Senate Republicans, and seen an unconstitutional proposal introduced to the Legislature that would undermine our right to free speech. Democratic colleagues and I will not tolerate this. We will continue to stand up for fairness and opportunity for all, and lead the fight to resist division and fear. Thank you for taking the time to read my e-newsletter. 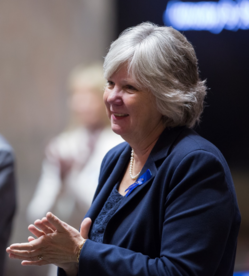 Senate and House Democrats have proposed a comprehensive education bill, SB 5623, to fully and fairly fund education for Washington’s 1.1 million students. The companion version of the bill is expected to passed out of the House of Representatives as early as tomorrow. 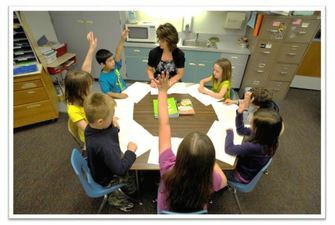 Reducing class sizes, as directed by Initiative 1351. Ensuring teachers and staff are paid as professionals, and raising starting teacher salaries. Providing additional funding for the Learning Assistance Program,Transitional Bilingual Instruction Program, Special Education and highly capable programs. Increasing allocations for guidance counselors and parent involvement coordinators. Another significant issue facing the Legislature this year is addressing something called the levy cliff. This is a looming multi-million dollar budget cut to Washington’s 295 school districts if the Legislature doesn’t act immediately. Although a bill to postpone the levy cliff passed with strong bipartisan support from the House in January, Senate Republicans won’t allow a vote on the bill. While they say it is to keep pressure on the Legislature to fully fund schools, in reality it only holds hostage their own school districts and those across Washington. Many school districts already face deadlines to develop next year’s budgets. The Seattle school district, which stands to lose tens of millions of dollars if we go over the levy cliff, has indicated it must send layoff notices as soon as Feb. 28. 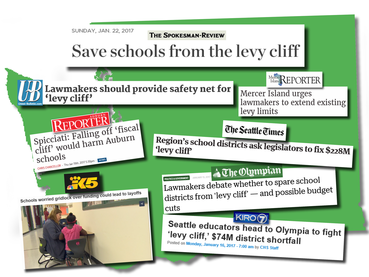 Passing the levy cliff bill is a simple insurance measure for districts to continue the work we rely on them to do – educate our kids. Despite the uncertainty coming from the other Washington, Democrats in this state are committed to maintaining affordable health care for Washingtonians. 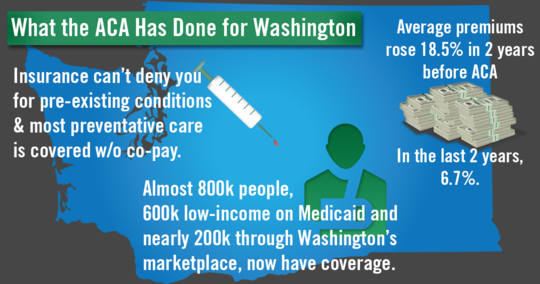 We have had great success in getting hundreds of thousands of Washingtonians insured under the Affordable Care Act. I will continue to fight for affordable health care for all Washingtonians. For information on Washington state’s Health Benefit exchange, please click here.